Windmills, tulips, wooden-shoes, cheese, weed and red light districts are all things which are typical Dutch. 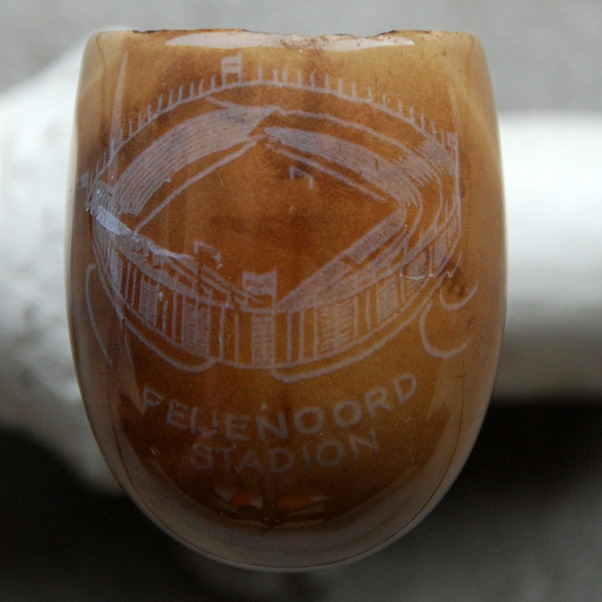 What is also quintessential Dutch is the clay pipe. 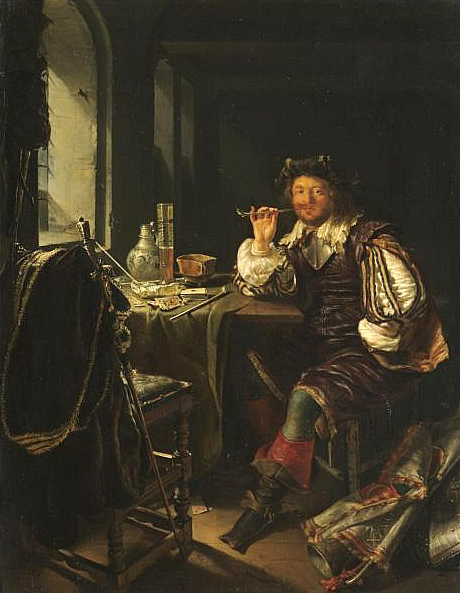 In my blogpost Dutch Tobacco Trade I already told that in the 17th century smoking became more and more common in The Netherlands. Since the modern day cigar and cigarette had not been invented yet there was no smoking without pipes. 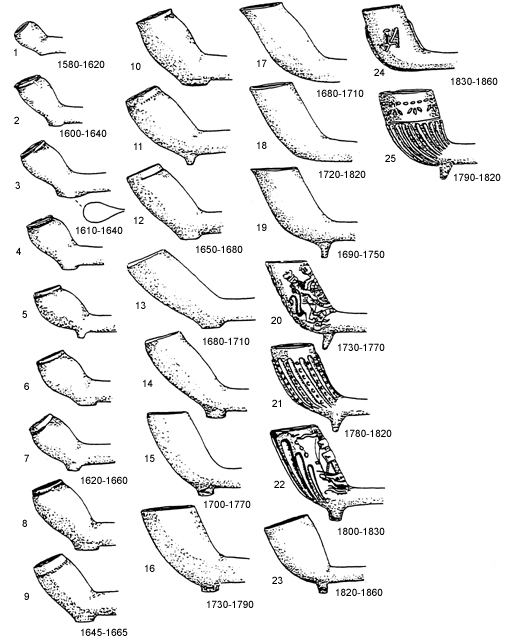 In the second half of the 16th century pottery makers in England succeeded in making usable pipes from clay. 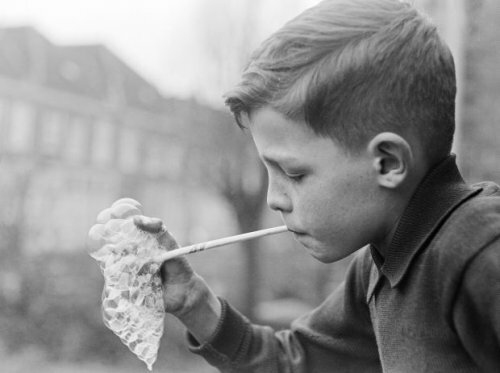 Especially English places like Winchester, Bristol, Chester, Hull and London seemed to have played an important role in the development of the clay pipe as an instrument of smoking. Contacts between England and the Dutch Republic did go over water at the end of the 16th century. That is why the Dutch harbours first came into contact with tobacco. This image is confirmed by archaeological discoveries. At the beginning of the 17th century the Dutch Republic fought out the 80-years’ war with Roman-Catholic Spain. Many English mercenaries fought in the army of Maurits. When in 1609 the 12 years’ truce was announced a lot of English soldiers became unemployed. Many of them resorted to the profession they executed in England. Also because of James I many English pipe makers fled to my country. This had two reasons, first James I was known for his disgust of tobacco, of which his son was addicted to. In a writing called “A Counter Blast to Tobacco” he pointed out the dangers of tobacco to his subjects (today this is still being done by many governments). Second he prosecuted puritans because of their faith. It were the humble craftsmen like pipe-makers and weavers that belonged to this group. So they fled to the liberal Netherlands and continued their craft here. This way they introduced the smoking of a pipe in the Dutch Republic and more important, they taught the local inhabitants how to make clay pipes. Around 1610 the first pipe-production slowly starts in Amsterdam and Leiden, nothing more than little companies in the domestic circle. It was necessary that the whole family helped in order to make enough money for a frugal meal. In the next decade the industry will spread to places like Gouda, Enkhuizen, Rotterdam, Delft and Schoonhoven. 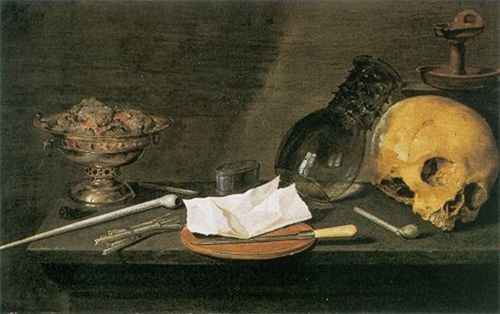 After this the craft expanses further across the country to Zwolle, Deventer and Middelburg until around 1640 there are also pipe-makers situated in Groningen and Maastricht. But the most well known place was and still is Gouda. The first English pipe-maker who arrived in Gouda, having fled England because of his faith, was William Baernelts in 1608. He declared he was born in Bromyard (near Stratford) and that his profession was stonecutter. In 1617 William started with the craft of pipe-maker. Until 1637 it were the English pipe-makers who had the lead. It was not until 1640 that the Gouda pipe-makers surpassed the English. Around 1640 the Gouda pipe-makers filed a permission to establish a guild which excluded their English colleagues. 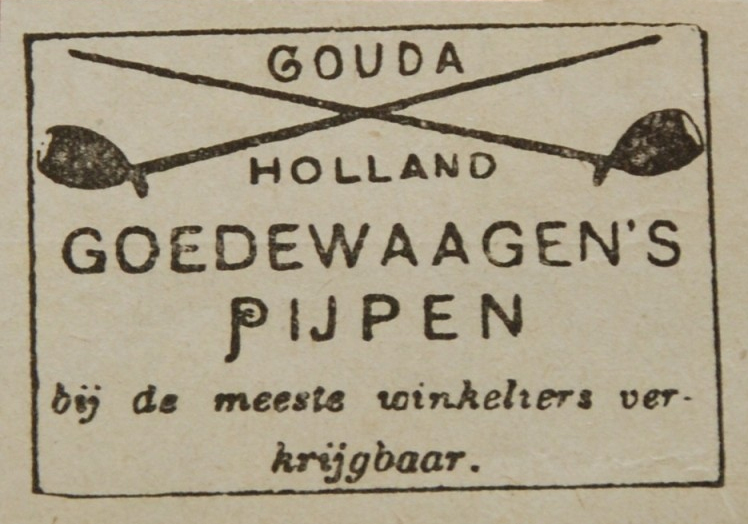 In 1665 this guild had 180 members and in 1666 the first Gouda pipe-market was held. After that the fabrication of pipes in Gouda really took off. In 1749 there were 349 pipe-factories and half of the Gouda inhabitants had a job in those. Also the area of distribution was no longer limited to the region or the country. Today Dutch clay pipes are still found around the world. The shape of the pipes changed during the years. The walls of the bowl and the mouthpiece of the clay pipe became thinner because of better clay and an improved method of fabrication. The bowl also got bigger because the price of tobacco went down. Wished that was still the case! In the early years the pipes were short and pretty hot to smoke. Therefore the mouthpiece became longer and the pipe became more pleasant to smoke. Each pipe had certain trademarks that were registered with the result that today it is still possible to track who made the pipe and when it was made. We can distinguish these trademarks in heel-marks, bowl-marks and mouthpiece-marks. Heel-marks: When the skills of the pipe-makers grew and the market appreciated more quality a need rose to label the pipes with an unique trademark. 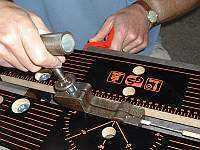 In the first instance it often was a simple figure applied to the bottom of the heel of the pipe. Later real stamps were developed with the initials of the pipe-maker or images of for example a rose or scales. Soon a kind of brand-loyalty arose from pipe-merchants and pipe-smokers. Some wanted trademarks were swiftly rented, sold or counterfeited. Therefore the official guilds (especially in Gouda and Amsterdam) kept a registration of trademarks and the owners of those. A representative of the guild regularly checked if pipe-makers did not make themselves guilty of counterfeiting trademarks that belonged to a colleague. Bowl-marks: This way of decoration roughly took place in the period from 1725 to 1825. Especially the rose proved to be very popular during the years. Commonly these decorations were not applied to more expensive pipes because the relief made the polishing very difficult. 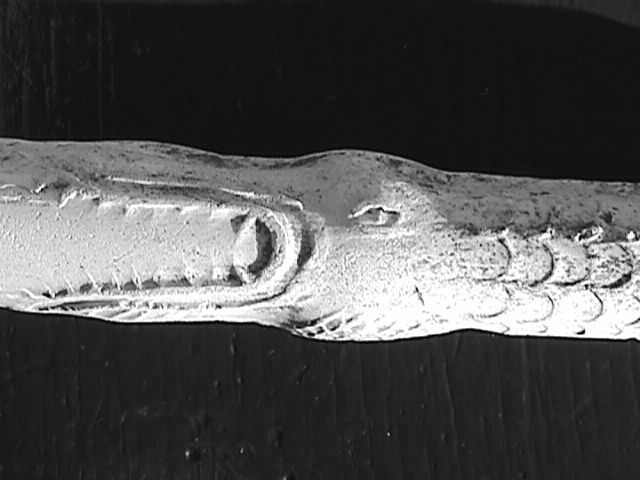 Mouthpiece-marks: This kind of decoration is pretty rare. Imagine the price a silversmith would ask for making the moulds! But despite the numbers are small, the variety is surprisingly big. The mouthpiece was used to display names but there are also examples of real commercial messages. 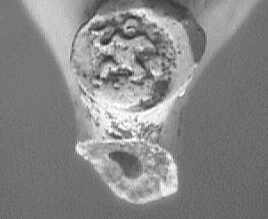 Flower and animal figures were also common. A practical advantage of these pipes were that they offered a better grip because they were less smooth . Typical of the in Hoorn produced pipes of this type was the usage of green or brown lead-glaze as an extra decoration. 1. 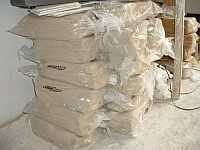 From England, Cologne, Liège or Rouen white-baking clay is imported. This clay undergoes a number of specific treatments (removal of contaminations, grinding, laid to rest (in Dutch this is called “zoken”)) before it is suitable for further processing. 2. By hand the pipe-maker rolls the correct amount of clay to a strand of the right thickness with a kind of lump at the end. In such a way that it fits the pipe-mould. After several days of stiffening the semi-finished product is ready for the next step in the process. 3. 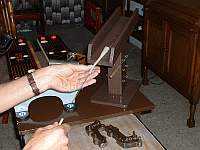 The pipe-maker creates the smoking channel in the mouthpiece of the pipe with a so called “weijer” (from the English “wire”), an iron needle or pin. 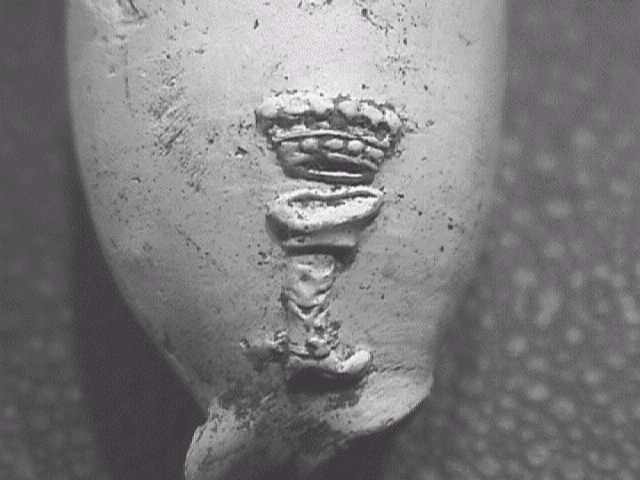 The pin is not stuck in the clay, but the clay is pushed over the pin. Before all this sewing machine oil is applied on the weijer. 4. 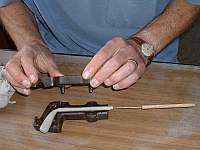 The roughly shaped pipe is put into an oil-greased pipe-mould which is shut and placed in a bench-vice. 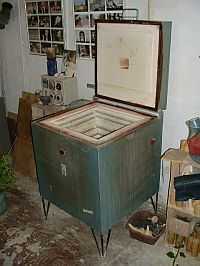 Simultaneously with the tightening of the bench-vice the clay of the bowl is pressed. 5. A conical metal shape (“stopper”) is driven again and again in the opening of the pipe-mould to shape the bowl. The stopper is also greased before usage. 6. 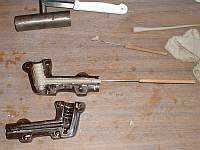 The pipe-mould is opened and the pipe is lifted out carefully. 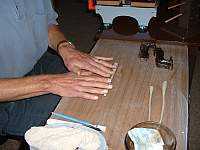 Excess clay is scraped of the seams of the mouthpiece and the weijer is put out slowly. After the pipes have dried somewhat and feel a little more solid the upper-edges of the bowl and the mouthpiece a trimmed with a sharp knife. If necessary a trademark is applied on the pipe. Luxury pipes are also polished. 7. After a week of drying the pipes go into the oven and are baked by a maximum temperature of 1050ºC. After that they can be glazed and/or painted if wanted after which baking is necessary again. In the past baking primarily took place at potters because they had the knowledge and expensive ovens. One of the big names in the fabrication of clay pipes is the Goedewaagen company. On January 1th 1779 Dirk Goedewaagen passed his master-test for pipe-maker and in February his first assistant came into service. 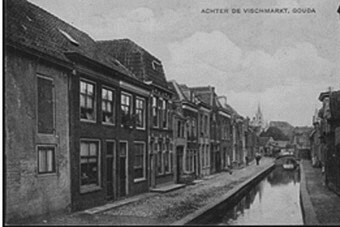 At first the pipe-factory was situated in the Keizerstraat in Gouda but grandson Abraham Goedewaagen relocated the company to the Gouwe, also in Gouda. His sons Pieter and Tobias Goedewaagen took over the “De Star” pottery which dates from 1610. To get more profit and to let the company expand Pieter decided to orientate on the Belgian and French market. Around 1874 and 1882 son Aart persuades his father Pieter to set up a broader, more internationally orientated assortment. Many mould-shapes are took over from Belgian and French pipe factories. After no less then 10 years the company possesses over hundreds of pipe-models. Because of this vast assortment the Goedewaagen pipe-factory surpassed all the other Gouda companies. The P. Goedewaagen & Zoon firm manages to expand and hold its position in The Netherlands. The sales to Belgium and France also went very well. Through English warehouses the company gets lots of orders for the shipping of pipes to countries in Africa. After WWII the demand for pipes declines and the firm concentrates on the manufacturing of pottery. In the beginning of the 1980’s the company comes into financial troubles which leads to their bankruptcy in 1982. Today the name has changed to Royal Goedewaagen and pottery and the occasional souvenir clay pipe is still being made. Another big name is Zenith. 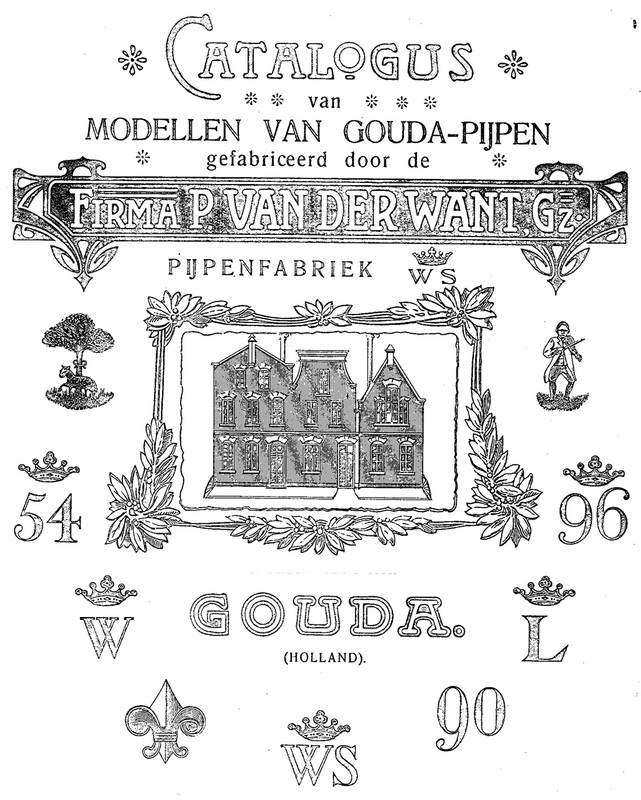 The history of this company starts in 1749 when Pieter van der Want passes his master-test for pipe-maker for the Gouda pipe-guild. Thus starting a line of pipe-manufacturers that from father to son will exist for 8 generations. From the 1950’s Zenith has the oldest, still functioning pipe-factory in the world. Chacom from Saint-Claude stands second with a founding year of 1780. Zenith is well known for a couple of innovations of the clay pipe. Instead of pressing the pipes in metal press-moulds these pipe are being made by pouring clay in moulds made of plaster. The baked pipes were then covered with a glaze layer which gave the pipe a solid, tight and glossy look. In the 1920’s the product is perfected further. The so called “hollow bowl system” is introduced. The bowl is fit with an inner bowl with a hollow space between both walls. In this space the smoke can circulate, cool off and in the meantime yield its moisture to the ceramic. Thanks to this cooling system the Zenith pipe soon becomes the ultimate dry-smoker. Another innovation is the co called “doorroker”. From its introduction shortly after 1900 it was popular with millions of smokers. After smoking it for a while an image appears on the pipe that stands in contrast with the darkening bowl. That is why the doorroker is also known as the mystery pipe. But also the Zenith Van Der Want company does not survive and closes its doors in 1984. The decline of the pipe-industry, which began in the 19th century, picks up more speed in the 20th century because of the fashion of the smoking of cigars and cigarettes. 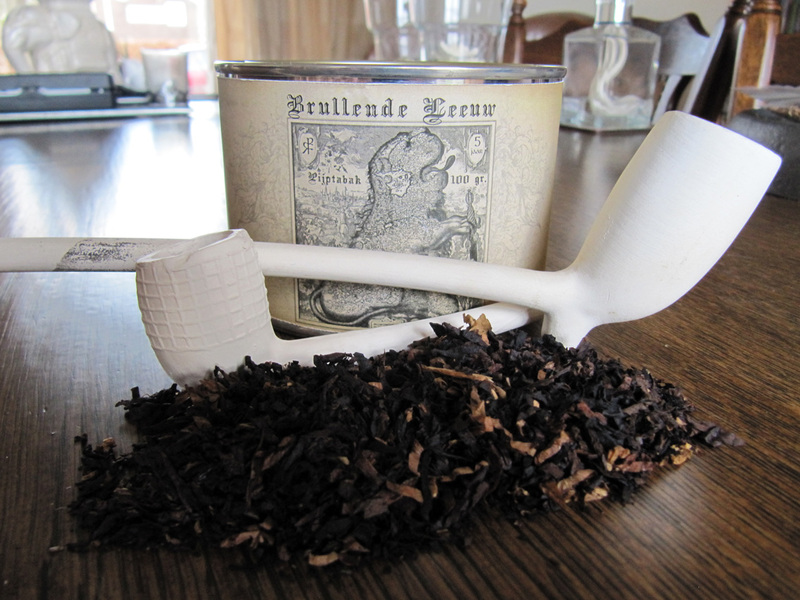 When the modern day cigarette was introduced and pipes of briar smoked better and proved to be not so vulnerable it soon was over for the clay pipe. The little simple pipe is now being used by children to blow bubbles with and the beautifully decorated ones stand as an art-object in an antique pipe-rack. The pipes are also being sold as souvenirs and are being used in historical reenactment events. And still, despite it all, this wonderful craft shall be preserved for future generations. Because on December 2nd 2013 Gouda-inhabitant and parttime pipe maker Patrick Vermeulen received the message that “his” craft was acknowledged as immaterial heritage and will be on the UNESCO “Masterpieces of the Oral and Intangible Heritage of Humanity” list. With this the craft is the first in the province of Zuid-Holland to receive an international status. – Van Vreumingen tobacco store in Gouda The oldest tobacco shop in The Netherlands (from 1836, still managed by the same family!). You can buy clay pipes here. – Goudse Waag In this old building clay pipe making demonstrations are regularly held. 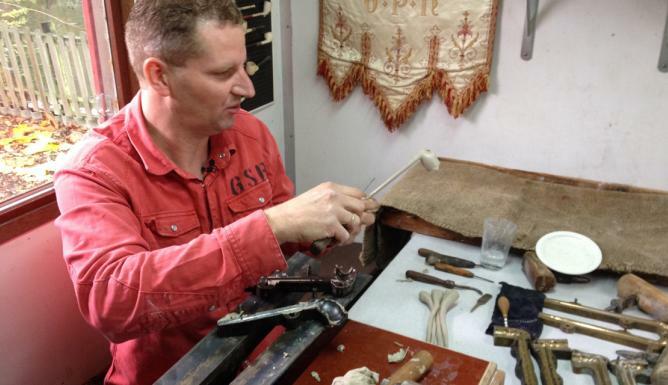 – Amsterdam Pipe Museum Mr. Don Duco is an expert on the field of clay pipes. 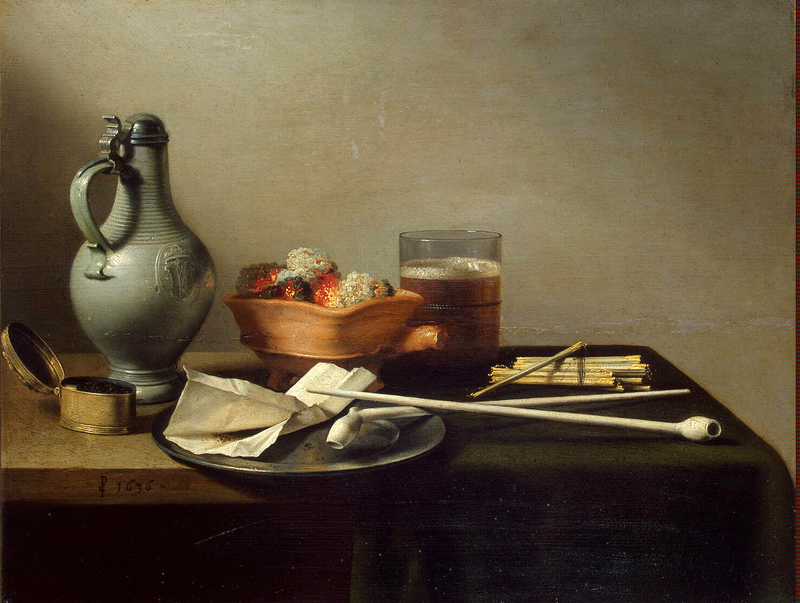 – Claypipes.nl Very informative (Dutch) site with lots of pictures (from which I also used some).